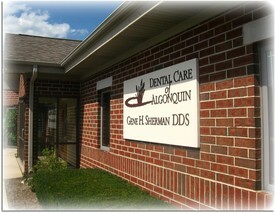 At Signature Dental Group, our experienced team is proud to provide you with the best dental care possible. We welcome new patients to our dental office in Algonquin, Illinois, where we strive to give you optimal dental care in a comfortable and friendly atmosphere. Whether it's placing dental implants or treating gum disease, we can help! Our dental services are not only effective in treating your oral health but as a dental team, our Algonquin dentists and staff strive to make your visit as convenient as possible. As a result, we take multiple methods of payment that will allow us to treat you and your family! We accept all major credit cards, cash, checks, and offer an in-house financing plan for our patients. If you had any questions about insurance please don't hesitate to contact us today! Although we are located in Algonquin, we want to invite people seeking quality dental care throughout the surrounding communities in McHenry County including Carpentersville, Crystal Lake, Huntley, and Lake in the Hills, Illinois! We are well equipped to handle all your dental needs, so fill out our online form or call our office to schedule an appointment. We will accommodate emergency patients without scheduled appointments.